Saint Anejo now serves brunch on Saturday and Sunday. 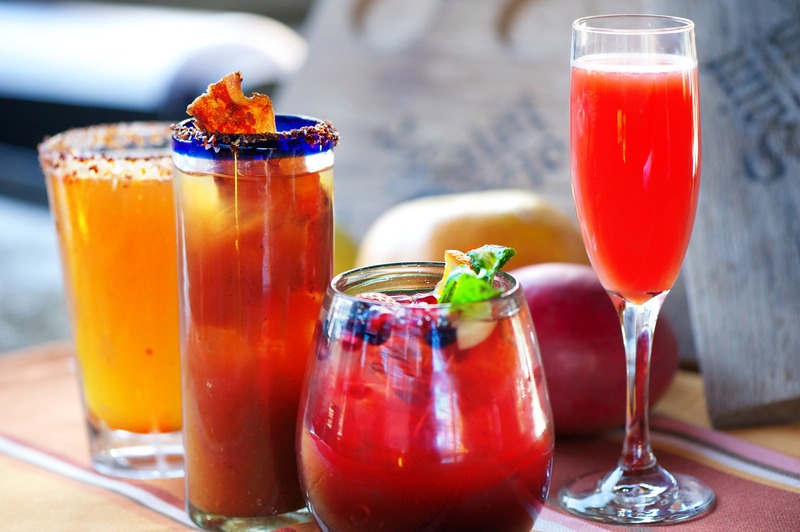 This is very good news, because the food is good, the drinks (two for one at Brunch time) are pleasing in so many ways, and weather permitted, they have a fantastic patio. 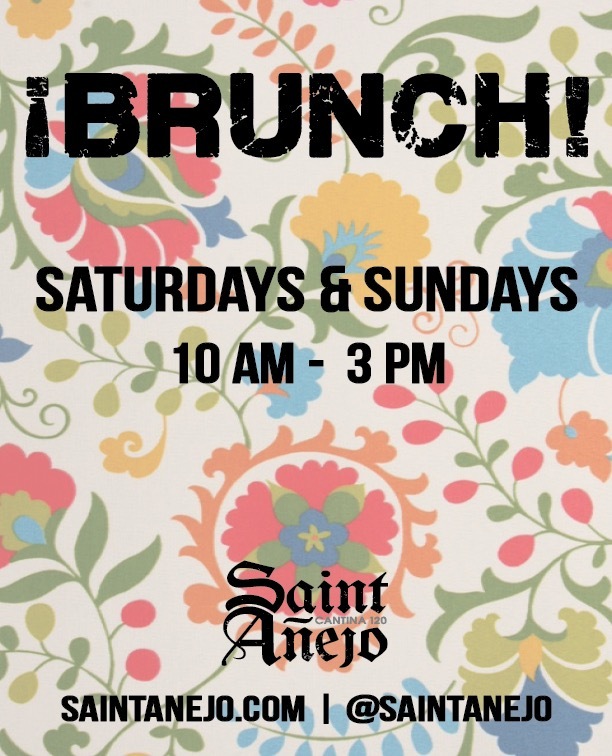 Saint Anejo invited Doug and I to try the new brunch menu, knowing we were already fans of the regular menu, which you can read about here. Saint Anejo is know for their extensive tequilla menu, but it was a bit early in the day for that. I had the Red Sangria, which is made with blackberries, strawberries, oranges, apples and sparkling cava. It was particularly delicious and refreshing. 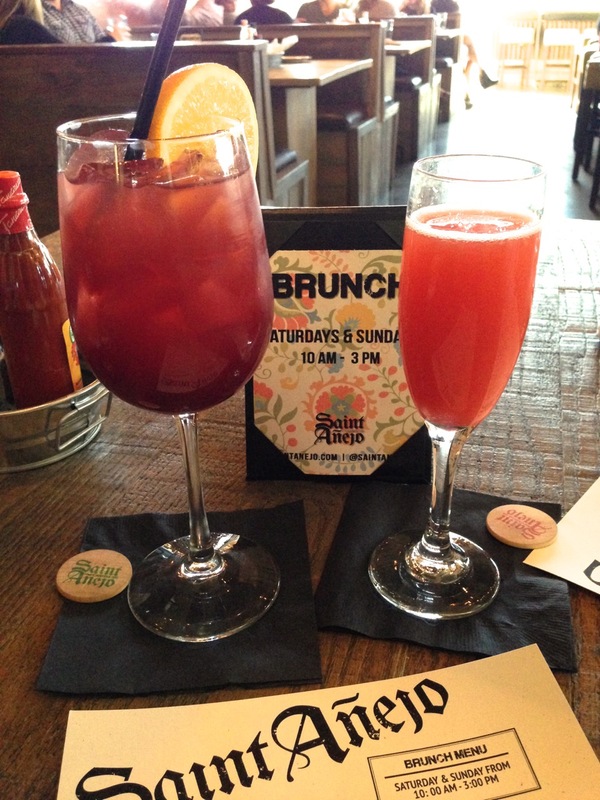 Doug had the Blood Orange Mimosa, which is blood orange, orange juice and sparkling cava. Also an enjoyable drink, but Doug kept stealing sips of my sangria so I think it was the winner. 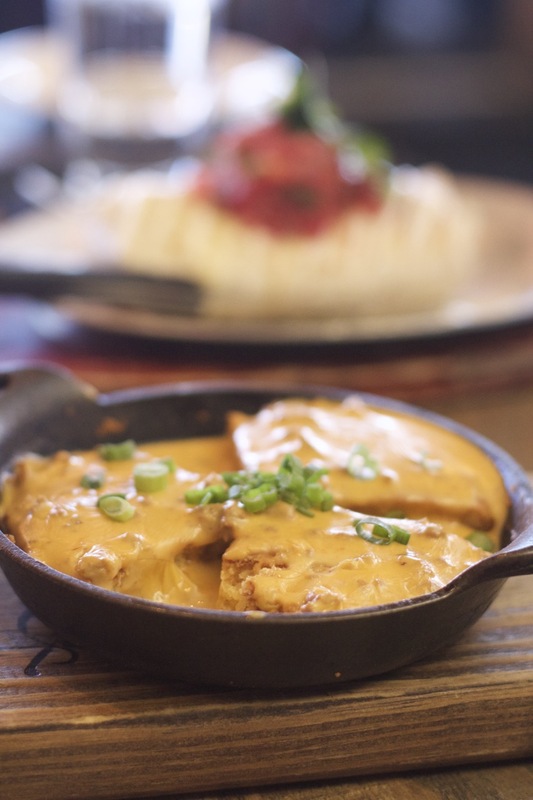 We ordered the corn bread with chorizo queso, because it’s too good to resist, and once you start eating, it will lead to the next bite, so be careful to leave room for anything else. 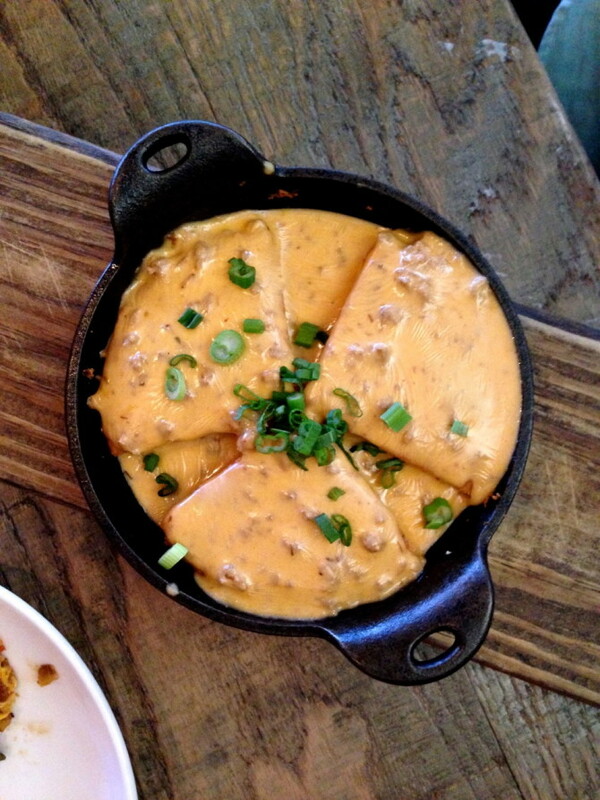 This is probably the most unique cornbread I’ve eaten, laying underneath a spicy queso, but it surprisingly works. 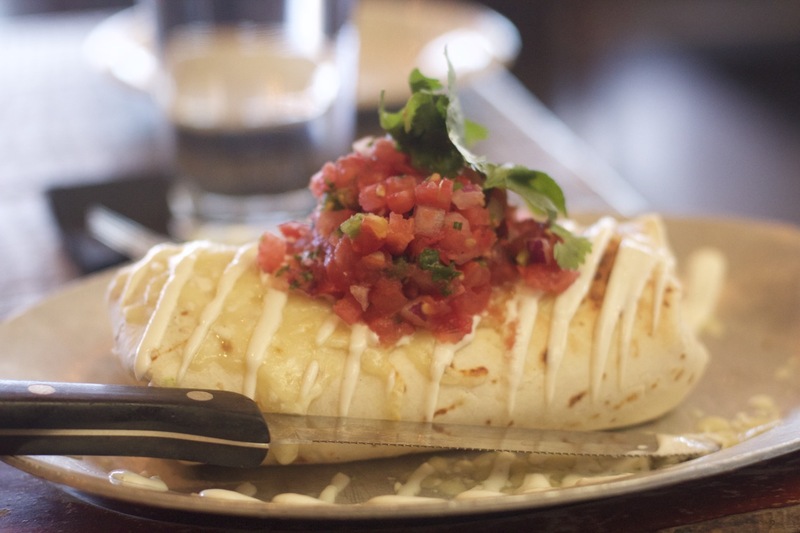 Doug had the burrito, which is not just pretty to look at, but tasty. 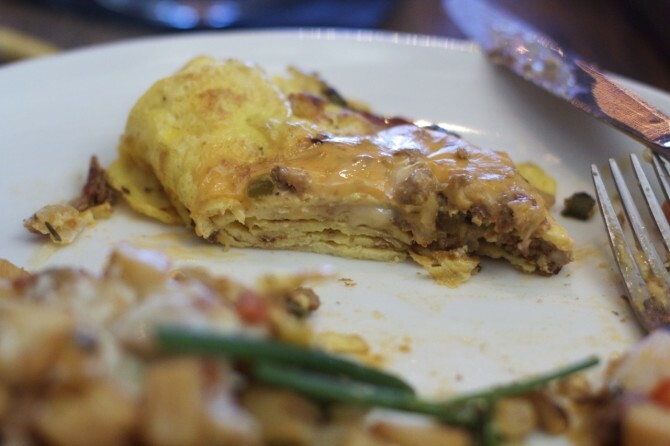 He chose the option of adding chorizo, which he described as very hearty, spicy and filling. I opted for the Omelet Tres. It was uniquely rolled, a nice touch. 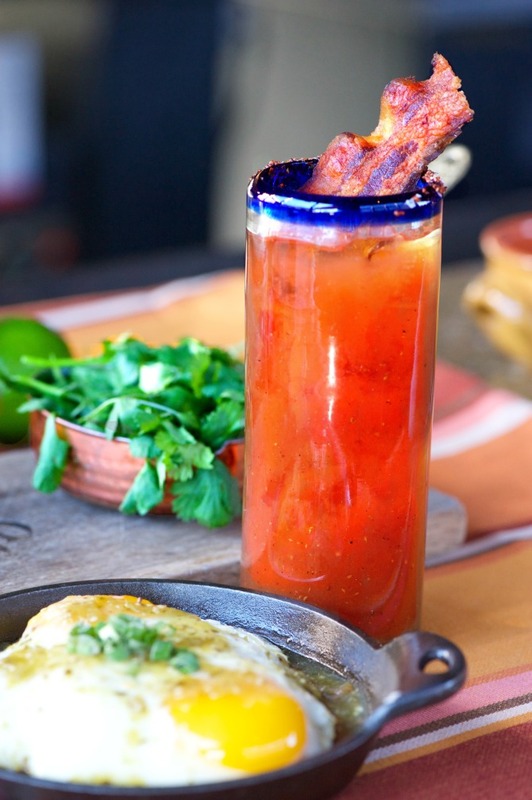 A Tennessee spin on the Bloody Mary has to have bacon. (photo courtesy of Saint Anejo). 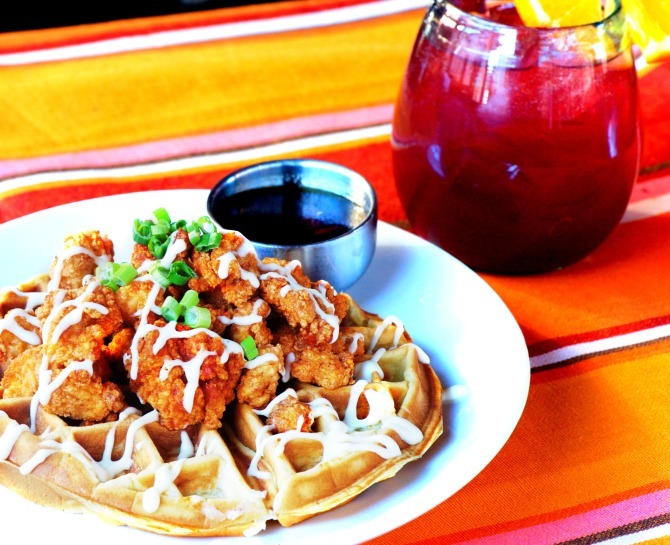 One of the dishes I want to go back for is the chicken and waffles. (photo courtesy of Saint Anejo) although there are also chocolate waffles on the menu, and our server highly recommended them. (next time). 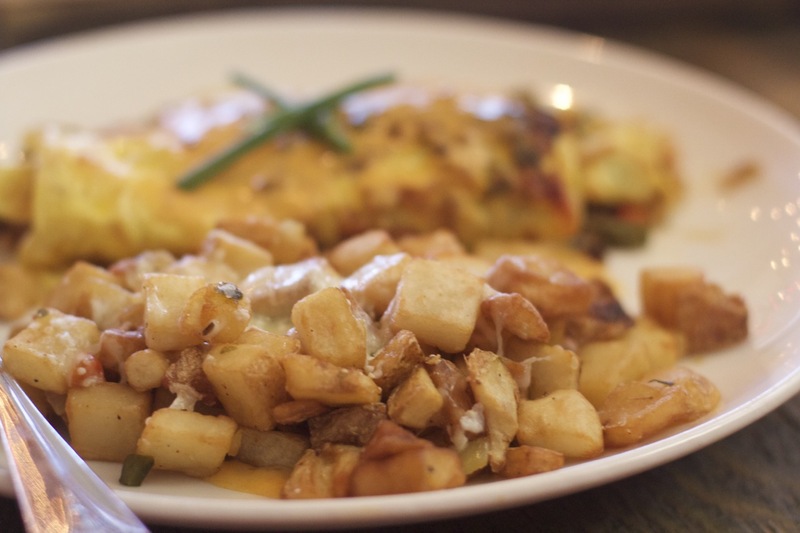 If waffles or eggs are not your brunch thing, they have french toast, grilled salmon and four dishes they call Skinny. You can see the full menu here. The food is reasonably priced, and one of the best things about the menu is its diversity. There is something for everyone, whether you’re in the mood for hearty, spicy, sweet, or light. The atmosphere is lively, and maybe too noisy, hard to have conversation, as there are a lot of hard surfaces. Of course, they have a patio, and I look forward to sitting out here on warmer days. I’m a big fan of the restaurants owned by M Street. Most are located on one street in the Gulch. The food is consistently good; the staff always exceptional. For Italian, go to Moto. For a high end Sushi experience, go to Virago. For steak, go to Kayne Prime. (The food was complimentary. All opinions are my own).